eZee FrontDesk and eZee BurrP! Now available on Cloud | eZee Expands in Nepal. Welcome to eZee Insider, keep you up to date with what’s happening in eZee. In this edition, eZee FrontDesk and eZee BurrP! now available on cloud. In first ever Expert Q&A Blog where we discuss importance of Mobile Booking Engine and much more. eZee FrontDesk and eZee BurrP! now can be accessed via Cloud, this allows hoteliers and restaurateurs to access the system from anywhere. This new option will allow hotels and restaurants to take full advantage of the full fledged features as offered in our desktop version. eZee FrontDesk is more comprehensive software in terms of features when compared with regular Online Hotel Software. eZee BurrP! on cloud will give the same amount of freedom and accessibility as the desktop counterpart to restaurants. It will also allow us to offer improved accessibility and flexibility without heavy investment and setup. Being on cloud, you would only require a stable internet connection and use it to manage all the operations efficiently and effectively. Ayako Sushi has adapted eZee BurrP! and eZee iMenu as their Restaurant Point-of-Sale Software and Digital Tablet Menu respectively. D-CARTE, our new reseller in France has implemented both the solutions and will provide training and support. The seamless integration between POS and digital menu enabled the restaurant to adapt both the solutions with ease. The robust features of eZee BurrP! combined with eZee iMenu give operators the tools they need to improve operations and increase sales. The Staff of Ayako Sushi will use the eZee iMenu in French taking advantage of our new language update which allows users to use the digital menu in French and Portuguese. Ayako Sushi is famous for offering quintessential Japanese cuisine in Villebon-sur-Yvette, France. eZee will provide its 24X7 uninterrupted support to the staff of Ayako Sushi. Mila Adventure signed a reseller partnership agreement with eZee becoming the first ever in the country of Nepal. In our continuous effort to expand the eZee Brand in the region, eZee executive toured the country, meeting various hotels and hotel groups with a great response. eZee products in the country. The organization has an extended knowledge and experience in the market and the ability to promote eZee products and services in the country. eZee looks forward to working closely with Mila Adventure and bring its product line up in the country. eZee successfully exhibits at Trinity’s 11th Edition of India Hospitality Expo which is held every year in Goa, India. One of the biggest exhibition in India specializing in the food service and hospitality industry. 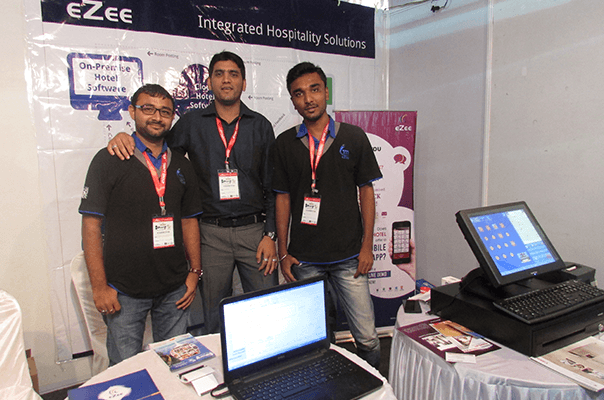 A complete integrated solutions provider was the focus for us and eZee Goa Team showcased that via live demonstrations of eZee products and services. The feedback from attendees was nothing but positive, we generated new business opportunities and interest for eZee Brand in Goa. One of the biggest trend today in the industry is the rise of mobile bookings. More hotels are starting to take advantage mobile bookings and experiencing rise in their bookings. Taylor Short, market searcher at Software Advice, who recently did a report on Hotel Booking App User Interface. The report included eZee Reservation’s mobile booking capability and strengths of its User Interface. In our first ever Q&A Session, we spoke to Taylor short who shared his views on mobile booking engine and eZee’s mobile booking engine. 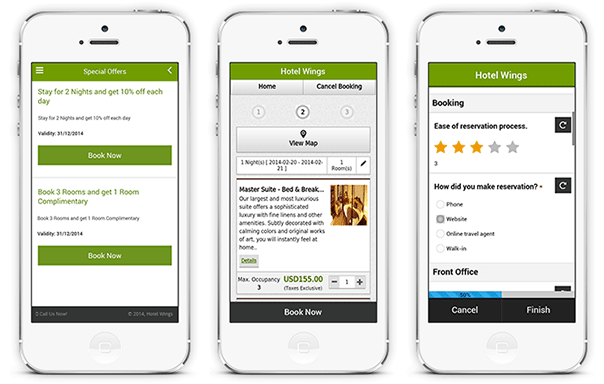 What did you like most about eZee's mobile booking engine? Taylor Short is a Managing Editor at Software Advice, where he does market research on hotel management systems. Before joining Software Advice in Fall of 2013, he worked with various newspapers, tutored students in English and writing at Austin Community college and freelanced for Reuters News Agency. eZee iMenu now available in French & Portuguese. eZee iLoyalty now Integrated with eZee FrontDesk. eZee Reservation introduces Room View Widget and Review Widget. eZee Centrix - New Two Way XML connection with Ostrovok.ru.